Everyone adores a red sole of Christian Louboutin. 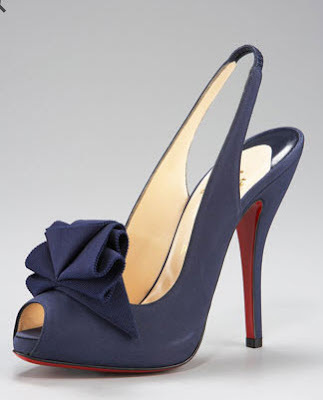 And since I am obsessed with bows, I love the modern take on this slingback. Here is a fabulous shoe, which would be great for the bride that wants to wear something blue.